Aluminium cases can be made to many different specifications depending upon your requirements. Select the style from our guide below. 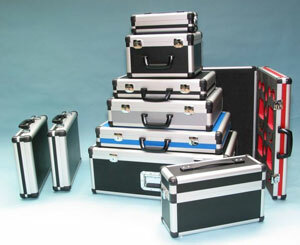 Alu-Lite cases are available in the sizes stated on the pages unless larger quantities are required. Aluminium framed AceCases, Transit Cases, Full Flight Cases and Heavy Duty Obsidian cases are all Custom Made Cases, bespoke built to order and our pages only serve to illustrate the case styles and options. The size is for you to decide. Bespoke build cases are normally subject to a minimum order quantity of 5 units due to factory production set up costs. 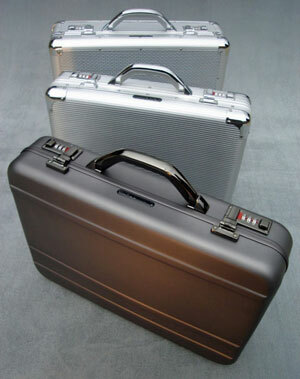 If you are looking for a more budget special size storage or transit case go to our PolyCase page for more information . Light-weight and modern, our AluLite cases come in two styles, fully lined and with full lid organiser folio, including a padded interior on the F12996 laptop case. 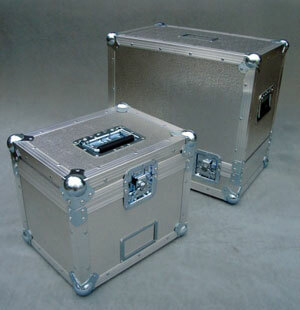 The AluLite cases are fitted with two combination locks for security. There are currently two standard models available from stock. (subject to availability). Our Custom Made AceCases are the ideal solution when weight is a premium. Manufactured in the UK using innovative materials for a strong, lightweight alternative to the more traditional transit case they can be manufactured to (almost) any size and shape you require. A minimum order quantity of five applies to this bespoke product. Our Custom Made Transit Cases can be supplied to (almost) any dimension you require. Construction is usually Stucco aluminium faced 7mm birch ply or lightweight honeycomb box section polypropylene sheet. Panel face coverings vary from Aluminium, Polypropylene, HPL or Vinyl and colours and printing are also available. Toggle lock and strut hinge fittings are face mounted and wheel / handle systems or castors are available. 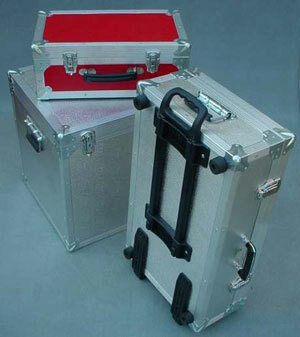 Cases are normally foam lined or fitted to house products safely and securely. A minium order quantity of five applies to this bespoke product. Our Custom Made Flight Cases use top quality recessed fittings and 10mm or 12mm aluminium faced plywood to give you a case that will endure the toughest handling whist keeping the contents safe and secure. A minimum order quantity of five applies to this bespoke product. 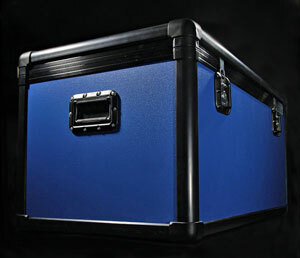 The Heavy Duty Obsidian Black Case is the perfect upgrade from traditional flight cases and two piece moulded cases. 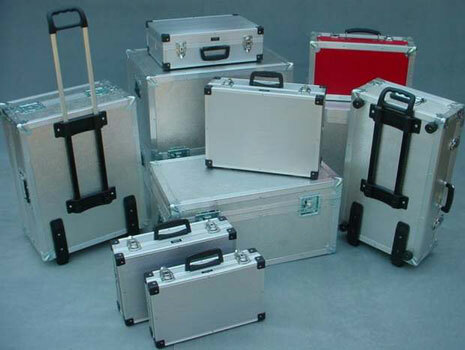 IP 56 rated and MOD tested these are top-of-the-range equipment shipping cases that are up to six times stronger than traditional Full Flight style cases. Don't choose the 'next biggest' moulded case - have them built to your exact specification. A minimum order quantity of five applies to this bespoke product.